You may have heard this a few times that you should play with end-loaded bat or with a balanced bat. How an end-loaded bat or balanced bats affect your performance? What type of bat should you buy if you’re a power hitter or a contact hitter? Let’s find out in this short article. What Are End Loaded Baseball Bats? What are Balanced Baseball Bats? Who Should Buy End Loaded Baseball Bats? Who Should Buy Balanced Baseball Bats? End Loaded Baseball bats have become one of the most popular types of baseball bats out there. In simple words, End Loaded Bats are bats where most of their weight has been concentrated near the end of the barrel. 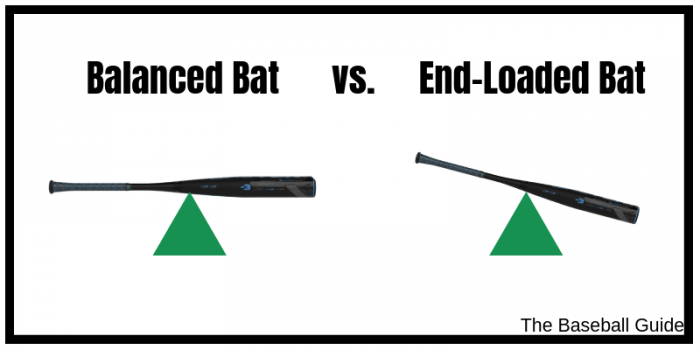 When compared to other, balanced bats, end-loaded bats tend to feel top-heavy. Though these bats can prove to be more difficult to control, they can prove to be very useful. The reason for this is that if swung at high speeds, one hits the ball with much greater power. Therefore, power hitters prefer end-loaded bats. Many batters prefer a more even length-to-weight ratio, and thus they arrive at Balanced Bats. These are the second type of bats that have become really popular. Being preferred by contact hitters, these bats have their weight distributed evenly throughout the bat. This is helpful as it helps the batters produce greater bat speed, something that has made it popular among most batters. One of the best points about these bats is that unlike end-loaded baseball bats, one does not have to sacrifice any control whatsoever during the swing. The difference between these two has proven to be tremendous, as every single Baseball player has their own preference of bats. In more than most of the cases, these players are not able to play with the other type of bat. End-Loaded bats are definitely just for those players who do not miss the ball often. 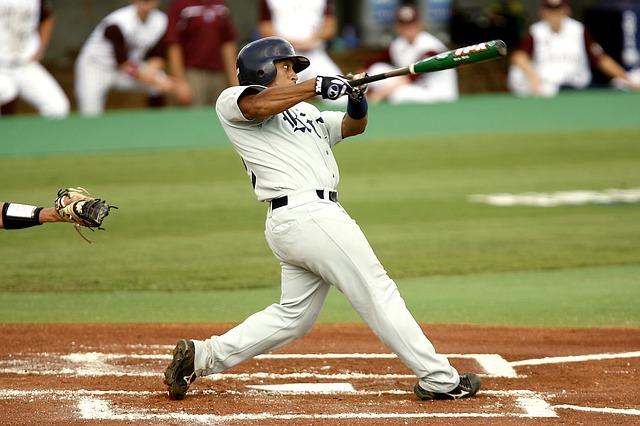 The reason for this is that batters who do not miss more often than not try for the maximum distance with their swing. There are a few things that give greater power than an end-loaded bat. When swinging an end-loaded bat, one will notice that the top feels heavier. This is because the weight of the bat has been concentrated in the top. This is what produces much greater power when swinging the bat. However, since not all batters are so skilled, the greater amount of batters try for bats which have a balanced length-to-weight ratio, since this gives them greater control over their swing. This means that they have greater accuracy, and thus helps them in their swing. When swinging a balanced bat, one will not notice anything special, as the weight is evenly distributed. This produces greater accuracy and control when swinging the bat for those who do not have exceptional arm strength. End-Loaded Bats are a product that is not for everybody, as these take a lot of arm strength to be able to control properly. An added criterion for using them is that one must be skilled in batting, as end-loaded bats are difficult to control while swinging. Baseball batters like power hitters are the perfect example of people who should use end-loaded bats. In fact, buying an end-loaded bat makes their job easier, since they produce greater power when hitting the ball. This ensures that the batter will achieve the maximum distance possible with their swing. These features make it one of the best end-loaded baseball bats to have been made this year. It has proven itself to a lot of batters; it can be called a great performance bat for the power hitters. Balanced Baseball Bats are more of a general product when compared to other types. The reason for this is the fact that they have their weight evenly distributed. This means that they afford greater control to the batter when swinging, increasing the accuracy. There are almost no added criteria for using balanced bats, as they are the general type. These are better for Contact Hitters, as they try for the maximum amount of control during the swing. This is because contact hitters do not care about the distance, but indeed care about making ‘contact’ with the ball. These features make it by far one of the most advanced and useful Balanced Bats to have been made this year. The 6-Star Premium End Cap Design is rare, and this bat uses it in one of the best combinations. Thus, before choosing a Baseball Bat, one must decide whether he is a contact hitter or a power hitter and choose accordingly. Power Hitters prefer End-Loaded Bats, while Contact Hitters prefer Balanced Bats. After one decides, one really should purchase they like from the two above, as they are two of the most demanding bats to have been made this year. The Louisville Slugger is optimized for contact hitters, while power hitters will find nothing to complain about the DeMarini Insane. 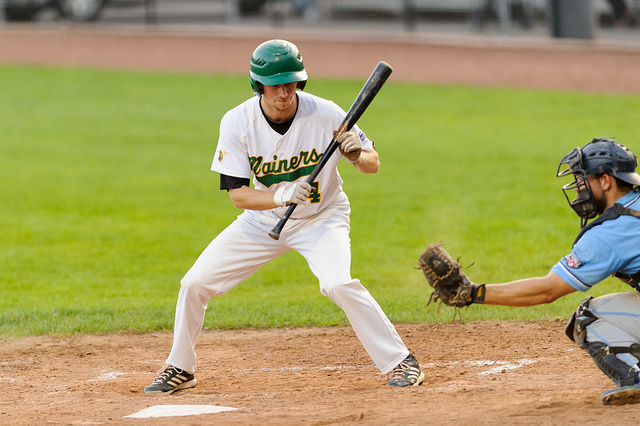 Whether you are a contact hitter or a power hitter? DeMarini CF7 BBCOR Review: Should You Buy DeMarini CF7 in 2019?